Geranium seeds are are easy to start and make any container look beautiful. Our garden type geraniums produce a nice bushy, upright habit with multiple, globe shaped flower heads. 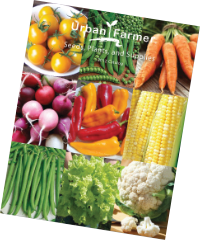 Choose from a wide variety of colors to brighten up any garden, border or front yard. The Appleblossom Maverick Geranium is a hybrid that produces vigorous and beautiful white to light pink blooms with a big 5-6" flowerhead! The Mixed Maverick Geranium is a wonderful assortment of vigorous and colorful geranium hybrids that produce big 5-6" blooms! The Orange Maverick Geranium is a more vigorous, hybrid plant that produces bigger 5-6" flower heads that are a stunning orange color! The Pink Maverick Geranium is a more vigorous hybrid plant with bigger 5-6" flowerheads that are a beautiful bright pink hue! The Red Maverick Geranium is a more vigorous hybrid that produces bigger 5-6" flowerheads that are colored a wonderful red! The Scarlet Maverick Geranium is a hybrid with a more vigorous plant that produces wonderful scarlet blooms with bigger 5-6" flower heads! 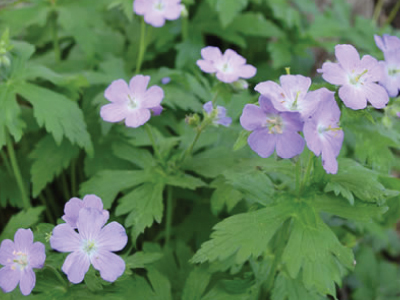 The Violet Maverick Geranium is a beautiful hybrid variety that produces wonderful, giant violet blooms that makes for the perfect addition to any garden! 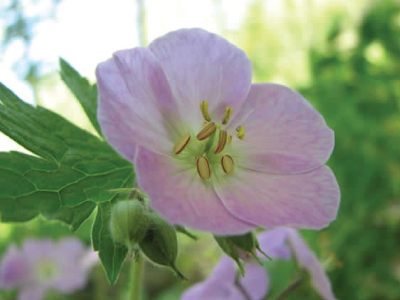 The Wild Geranium, or Spotted Geranium, is a beautiful easy plant to grow from seed and transplant outside that grows wild on woodland floors.